1. Go to CRM onto your JGID taskbar, click on it to pull the drop-down menu. Select “Contacts” and click on the tab. 2. 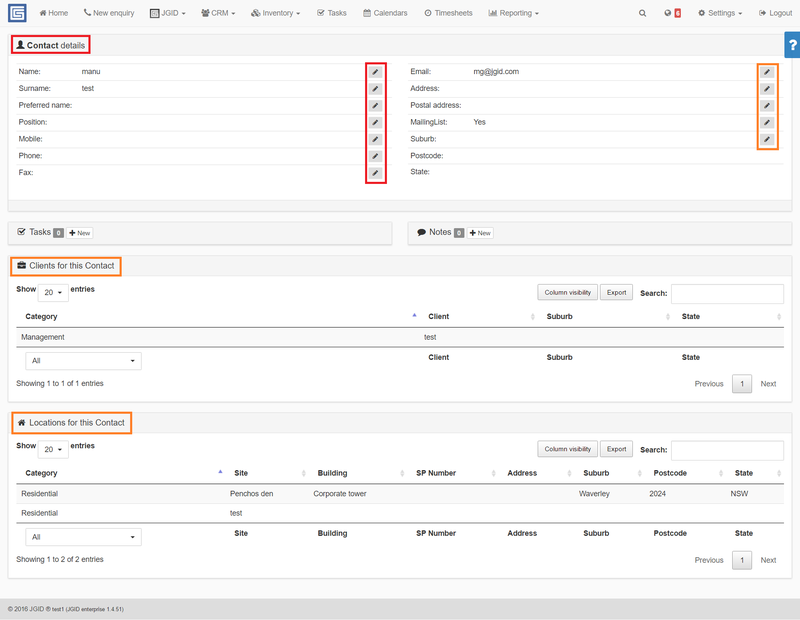 Search for the Client name by either scrolling doen through the Clients list on the dashboard or by typing either the whole name or a portion of the whole name of the Client into the searchbar on the top right side. 3. Select the relevant contact name and click on it. You will be transfered to the Contact entry edit panel. Once opened you will be able to edit all relevant entries, referring to this Contact including the Clients and the Locations associated with it. For the purpose simply click on the edit pen on the right side of each detail line.